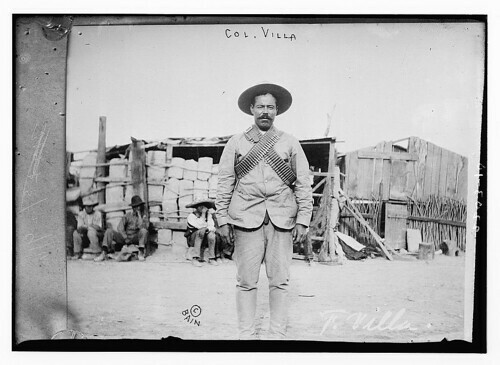 Thanks to the photos Data Base of Library of Congress – Set 1910 in flickr we can enjoy a real picture from the legend Pancho Villa. 1 negative: glass ; 5 x 7 in. or smaller. Photo shows Francisco “Pancho” Villa (1877-1923), a Mexican revolutionary general. Repository: Library of Congress, Prints and Photographs Division, Washington D.C.